Buy your HydroVeg Kit and accessories here! When you complete an order in our shop we will retain the information you have provided to us for reasons of fulfilling our contract to you, in terms of delivery address, contact name and telephone number. It also allows us, as a customer to send you updated information on the products or changes to the products you may need to know about. If you do not wish to recieve this information later, then tell us via email sue@hydroveg.co.uk. We will not be offended. We will keep your information in secure file in our system for 7 years as a customer in accordance with our financial and business obligations. 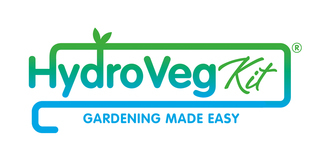 If you do not wish to purchase using Paypal then contact us directly on 07957135601 or sue@hydroveg.co.uk and we will deal with your transaction another way. Please note that we do not have a shopping basket facility yet, so if you need to order more than one item, please place separate orders OR phone us on 07957 135601 and we will deal with your order directly. Thank you!